“Lilacs in bloom” are our main sign that spring has come and it is actually here to stay. We get daffodils before the lilacs and narcissus before the daffodils but, without fail, those flowers shiver in the cold and end up covered in snow as they bloom. Lilac flowers come just as the deciduous oaks are budding and, together, they make a wonder feast of spring. While lilacs always grace our Easter table and the kids’ Easter baskets, this spring they play a bigger role still: We have had a great time tasting them in various recipes. 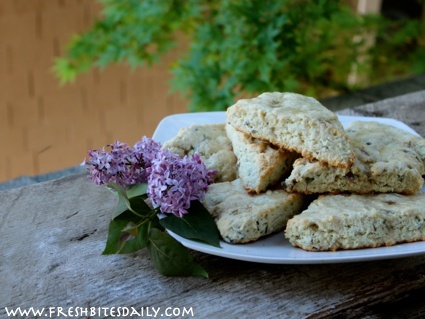 Scones are an obvious vessel for a delicately-flavored edible flower. They are a special treat in themselves that are elevated to the “exceptionally cool” level by an edible flower. The base recipe for this scone comes from the basic scone recipe at Remedial Eating (here). 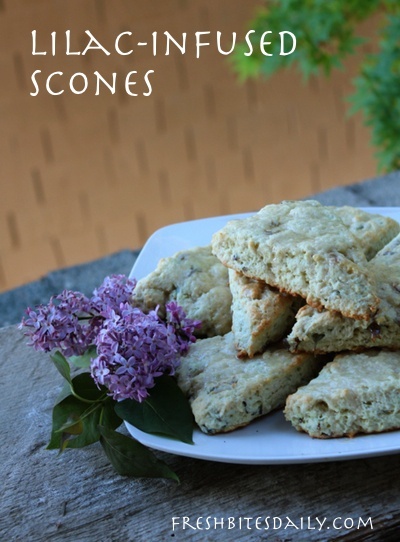 This basic scone recipe has been used by others to make lilac scones but their versions would not be recognizable here. I used more lilacs than any recipe I have found and added a hint of lemon. My goal with an edible flower or herb is to taste the flavor itself, not just add a slight undertone to the food. The lilac flavor is still delicate even with my efforts, but you will make note of it as you enjoy your scone. To that end, the added lemon extract helps to finish the lilac flavor and highlight it just a bit. I rough-chopped the blossoms and infused them in the milk portion of the recipe to bring the flavor our further. Here at home in this recipe we used a mixture of half whole milk and half cream instead of just milk. Really, scones are completely decadent to start with. The flavor only improves with the milk fat, so we just went for it. You can certainly use a whole milk or a butter milk. If you use buttermilk, there is no need to add the vinegar to your milk. Heat the milk mixture to just below a boil. Add your chopped blossoms, stir, cover, and remove from heat. Allow the blossoms to infuse into the milk as you prepare the rest of the recipe. Lightly butter and flour a baking sheet. Fold in grated butter into the dry ingredient mixture. 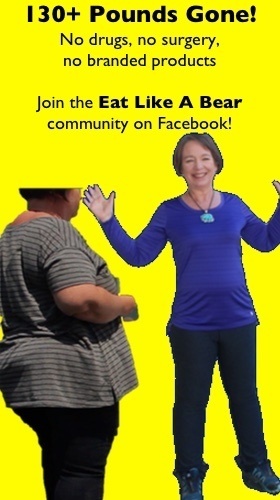 Use your hands to mix butter in well, breaking up any clumps of butter. All of the little butter pieces should be smaller than the size of a pea (which will be fairly easy if you have grated it). Add the vinegar to your milk and blossoms mixture (or just grab the buttermilk and skip the vinegar). Add the lemon extract or zest to your milk mixture. Add the milk mixture to your dry ingredients. Knead the mixture by hand until it is well-mixed. It should knead together in a minute or two. On a smooth, clean work surface, form a large ball with the dough and roll it out into a circle that is about 3/4 of an inch thick in height. You can pat it out by hand as well easily enough. Use a large knife to cut the circle in half and then in half again until you form right triangle pieces of dough. Arrange each piece on a buttered and lightly floured baking sheet. To move this scone more into the “dessert” category, drizzle on a lemon glaze. Simple heat these ingredients together in a sauce pan and drizzle them on the finished scones.